Unfortunately everyone has to pay for Carriage one way or another, if you go shopping your time and petrol cost you money. 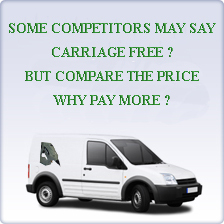 Some competitors may say "Carriage Free" but invariably you pay more for your products because the cost is amortised into the price, and/or you pay a flat rate across the board, which is fine provided you don't want a small item and end up paying the same carriage as if you had 20kg. 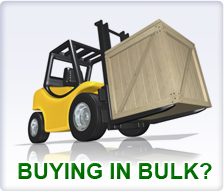 At Powerbond we believe the best policy is to give you the best price for your products and "only charge you for what weight/size you have delivered". You can maximise the weight to cost by simply increasing or decreasing the quantity of your order in the shopping cart and note when the carriage charge changes. Note: Carriage weights are calculated on the total weight of the product and it's packakgng i.e The Gross weight. Any item can be returned within 7 working days of receipt for a refund covering the full net price of the product minus the original carriage cost. Items must be in original packaging, unused and with the original labels still attached. Return postage is paid by you unless the item is faulty or a mistake has been made with the order. YOU ARE RESPONSIBLE FOR ENSURING THAT THE PRODUCT REACHES OUR COMPANY IN GOOD CONDITION AND IS SIGNED FOR. We advise using either a COURIER or POST OFFICE SIGNED FOR service.We will refund the full amount excluding the original delivery charge at cost. 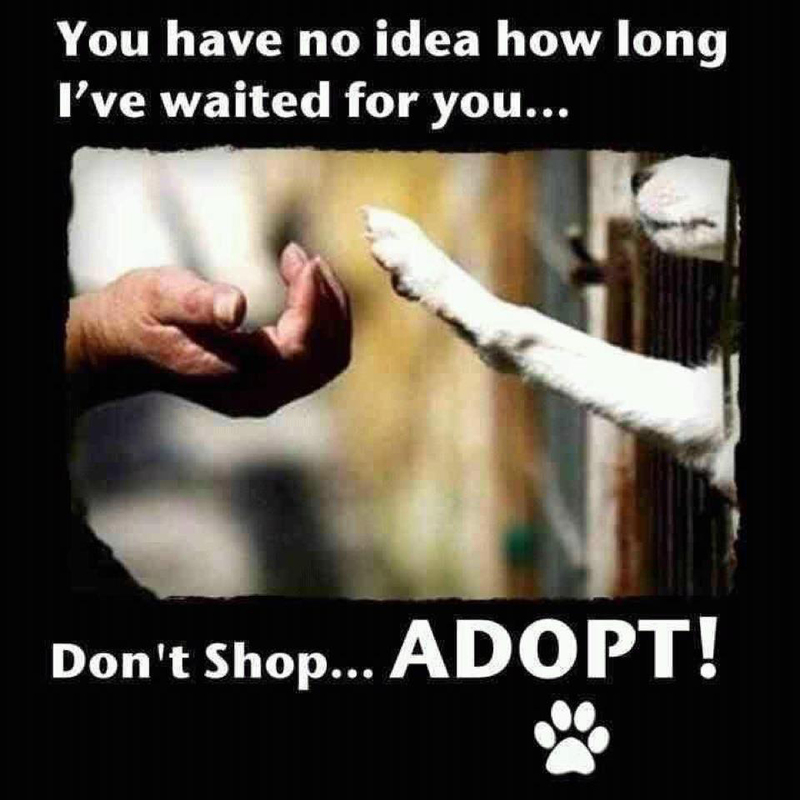 This is also applicable to any orders sent on our free delivery promotions. Your item will be professionally & carefully packed and despatched as soon as possible. By Courier: We endeavour to despatch all orders received before 1pm on the same day and on a NEXT DAY delivery service (EXCLUDES WEEKENDS). Orders received after 1pm are sent the following day on a NEXT DAY service. Special timed deliveries are available at an additional surcharge. Payment must be received before we can send the goods. 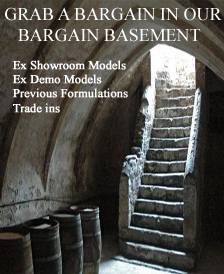 This offer only applies to purchases made at the price stated on the standard web page, it may not apply to customers who receive additional discounts for bulk orders, cover order contracts and resellers. Powerbond Adhesives reserves the right to withdraw any free offers from the site without prior notifacation, not withstanding that we would of course honour any outstanding orders made prior to the withdrawal. Standard Delivery: This means that we will instruct and the courier will endeavour to deliver your goods within their current terms and conditions, normally this will be within 3 working days, but please allow 7-10 working days from the date of despatch. Holiday Deliveries: Despatch days are restricted to Monday and Thursday. We will endeavour to despatch all purchases received before 1 pm . Despatch Advice: We will automatically email you to confirm the date the goods have been despatched. a) While we shall make every effort to deliver at the date and time requested we shall be under no liability in respect of failure to deliver or late delivery of goods resulting from any cause whatsoever. (1) Non receipt of the goods invoiced hereon is notified in writing both to us and to the carriers within 3 days from the date of despatch. (3) In case of damage to the goods or partial loss or non-delivery of any part thereof notice in writing is given both to us and to the carriers within 3 days of receipt of the consignment or part of the consignment. (4) In all other cases delivery of the goods by us to a carrier shall be deemed to be delivery of the goods to the buyer and the property therein and the risk shall, upon delivery to such carrier pass to the buyer. Many adhesives are subject to damage by frost and we do not accept any responsibility if such damage occurs on the buyer’s premises. In frosty weather we shall use our discretion as to whether or not to dispatch goods unless otherwise instructed by the buyer, in which case we do not accept responsibility for the damage by frost in transit.